Deciding on the style of wedding cake that you will serve, and especially picking the flavor, is one of the most fun tasks during wedding planning. 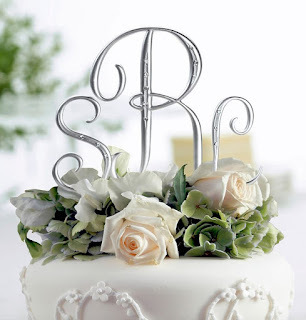 The crowning glory on that magnificent cake is the wedding cake topper that you choose to decorate it with. WhereBridesGo.com has just about every type of cake topper imaginable, from elegant and romantic to whimsical and silly. Here are eleven of our favorites (because we had a hard time stopping at a top ten!) 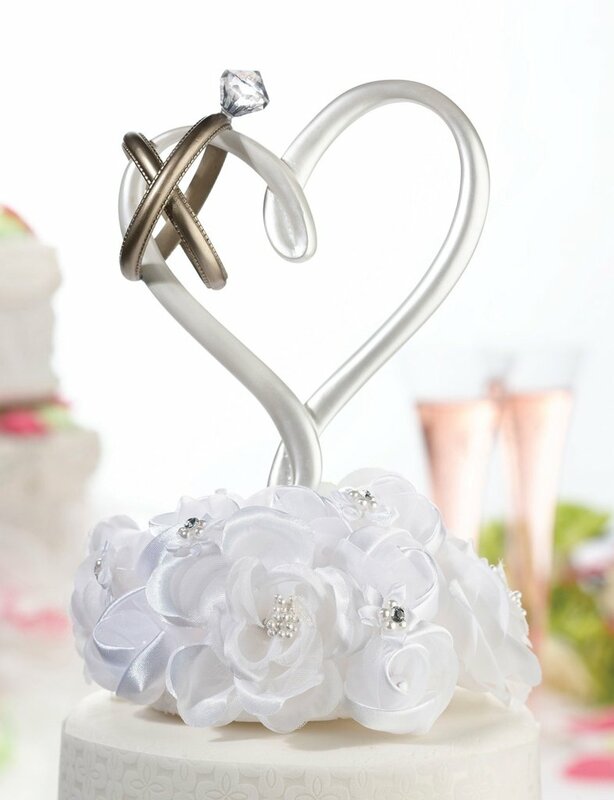 but you really should visit our online wedding accessory store and pick out a few favorites of your own! Monogram cake toppers are always popular, and look very elegant on the top tier of your wedding cake. They can also look wonderful positioned on the gift table or near the guest book. Burlap banners are a very popular decoration at rustic weddings, and this shabby chic topper is the perfect complement to those. 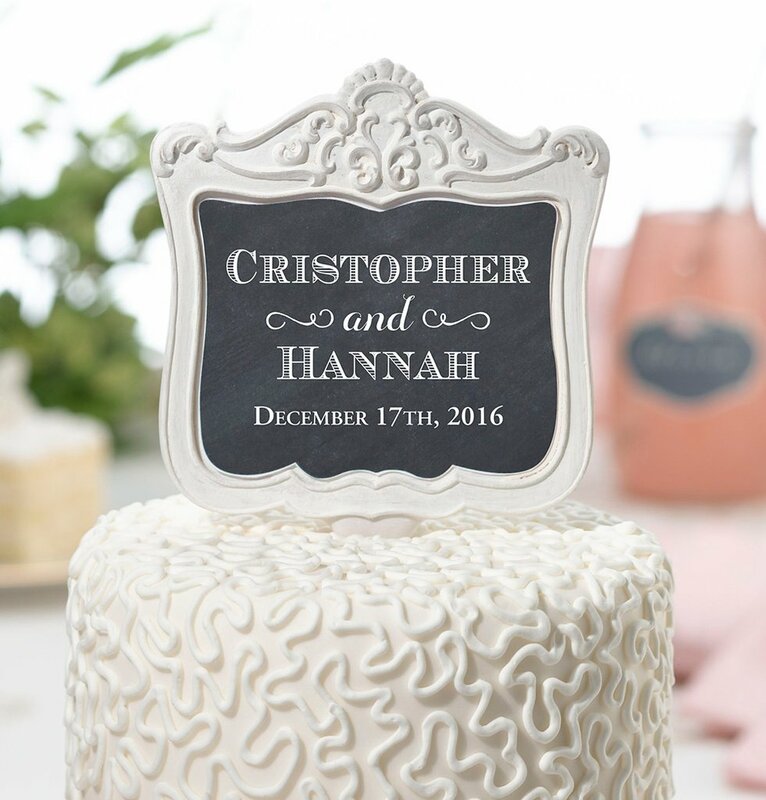 Chalkboards are also wonderful wedding decorations for announcing event schedules, seating charts, or labeling different items on the reception tables. This cake topper follows that theme, and can be personalized by us so you don't have to worry about the handwriting. 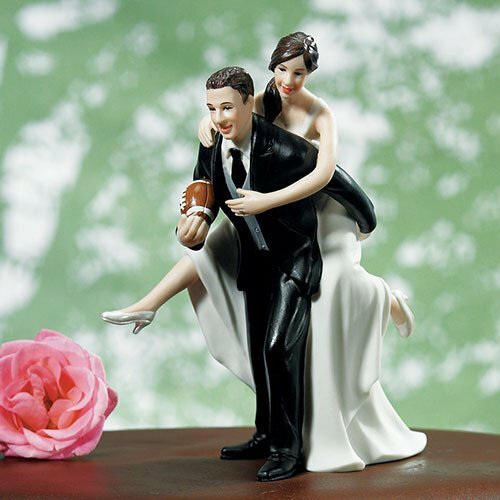 With football season going on right now, we couldn't resist featuring this sporty cake topper. 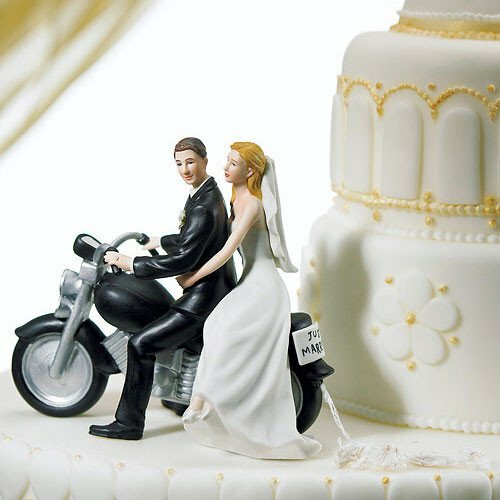 If you are sports fans, head on over to WhereBridesGo.com and check out all of the other activities that we highlight too. The most important phrase of the day will be "I do!" 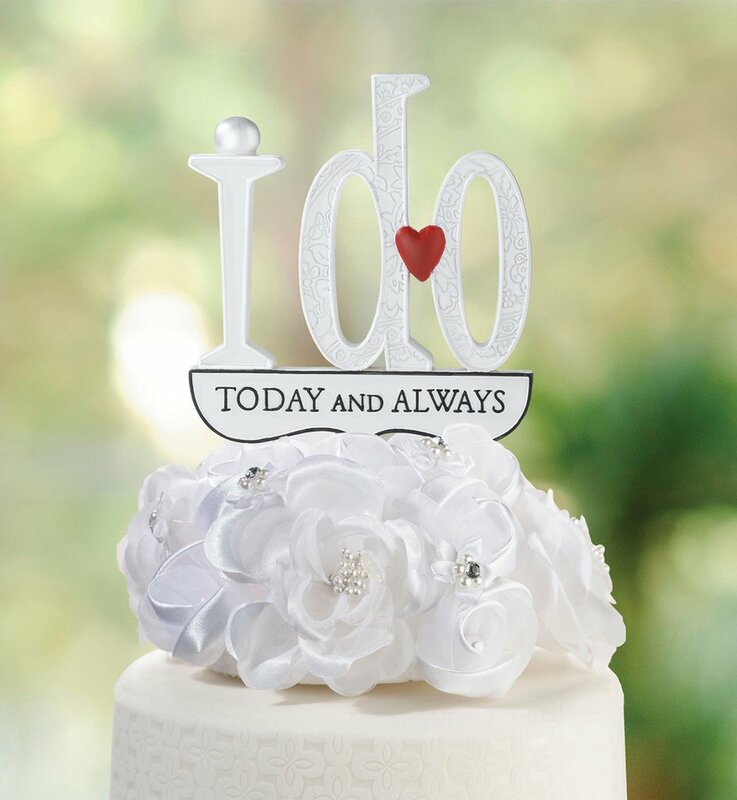 This cake topper honors that, with the reminder that it's not just for now, but for always! 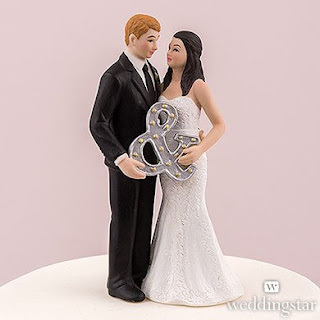 We have lots of cake toppers that are perfect for any couple that remains young at heart. 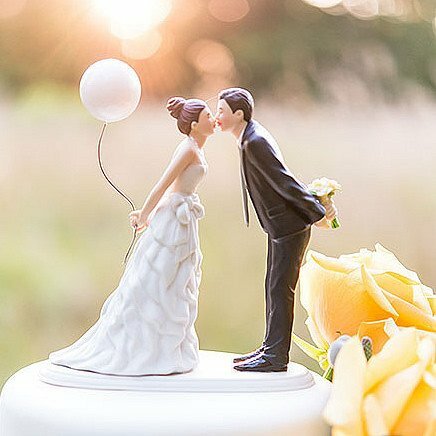 This adorable couple is sharing a kiss before surprising each other with sweet gifts. For all of you "lovebirds" out there, this one is perfect. It not only declares that "Love is in the air," but also features your initials, names, and the wedding date. If you're a couple that loves the feel of the open road and the wind in your hair, this just may be the cake topper for you. 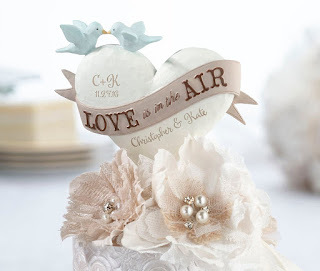 A heart cake topper symbolizes the love that this special day is all about. This particular one has the addition of the wedding rings, which symbolize your promise of forever to each other. We love this cake topper because the couple is looking so lovingly into each other's eyes, with the simple "&" between them summing it all up. Normally you will find top ten lists, but we had to add just one more. 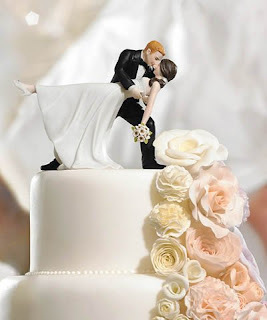 The loving dip and kiss between the bride and groom on this cake topper says pure romance to us. Our online wedding store has a huge variety of wedding cake toppers for every person, covering hobbies, different styles, and other symbols that help to tell the story of you as a couple. Many of them can be personalized with the wording, and quite a few can even be ordered with specific hair colors to match the two of you. 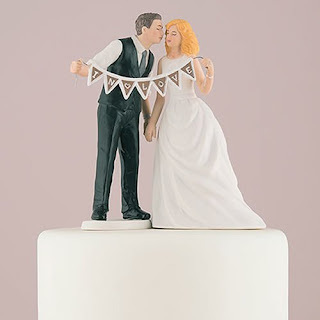 Even if you won't be having a traditional wedding cake at your reception, these cake toppers work equally as well for decoration at the wedding. Set one on your dessert table near whatever sweets you've decided to serve instead. Once you've found the perfect topper for your wedding, go ahead and browse the rest of WhereBridesGo.com for all of your other wedding needs.